rain? i know in Texas you often NEED rain, so know of what i speak. other areas of Michigan are getting rain. we are not. i long now for rain. i want to sit in it, stand in it, dance in it, hold my arms up to the sky in it. standing on parched dead grass brings such sadness to my days. i am used to green. 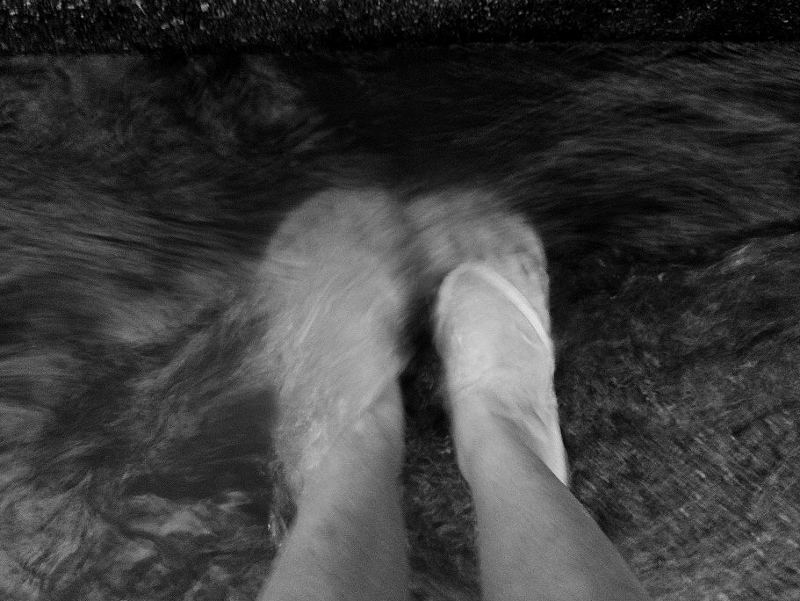 i smiled with the water on your feet. i sit in evening in the parched yard with my feet bathed in water from the hose. it calms me....but i still NEED rain.